The Court of Appeal has ruled that Kenneth Erskine's convictions for murdering seven pensioners should be replaced with manslaughter due to diminished responsibility. Erskine was caught out by a hair from his head, a palm print and old-fashioned detective work. The names Dr Crippen, Ian Brady and Myra Hindley loom large over 20th Century British criminology. But the less well-known Kenneth Erskine, who has successfully reduced his seven murder convictions to manslaughter charges, was convicted of killing more than any of them. Erskine's childhood had been troubled - after abandonment by his parents he spent a youth in a variety of care homes and special schools. By the age of 16 he was already known to the police. Yet it was over a three-month period in 1986 that burglary boiled over into a spree of sexual molestation and killing that shocked Britain. Four of the seven victims had been sexually assaulted, although police were unable to tell whether it had happened before or after they died. He was 24 - with a mental age of 11 - and, as the Court of Appeal highlighted on Tuesday, suffering from severe schizophrenia. Erkine's first victim was 78-year-old Eileen Emms, a retired schoolteacher found dead in her Wandsworth home in early April. Erskine had tucked her up so neatly in her bed that at first her family believed she had passed away quietly in her sleep. It was only when she was about to be cremated they noticed her TV had been stolen and called the police. In June he went on to kill Jane Crockett, 67, before strangling Valentine Gleime, 84, and Zbigniew Stabrawa, 94. The Polish World War II veterans were asphyxiated on the same day at a house in Stockwell Park Road. By this time newspapers had already dubbed him the Stockwell Strangler. And before the month was out another pensioner would have a brush with the killer. On 27 June Frederick Prentice, 73, from Clapham, awoke to find an intruder in his bedroom. The man jumped onto Mr Prentice's bed and began to strangle him - yet the pensioner managed to press the alarm by his bed, upon which his attacker fled. July would bring three more killings proved to have been carried out by Erskine before the spree came to an end. William Carmen, 84, was found dead in his Islington home with all the pictures turned to face the wall. 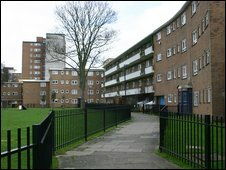 Then William Downes, 74, from Stockwell, and Fulham resident Florence Tisdall, 83, were killed within two days of each other. But the net was closing. Police soon realised the killings were carried out by the same person. Pathologists found that in each case the killer had knelt on his victims' chests, placed his left hand over their mouth and used his right to strangle them. Erskine's criminal record inspired detectives to investigate his whereabouts on each day the killer had struck. They became suspicious and arrested him as he collected a social security payment. His palm print was identical to that left at one crime scene. Detectives also found one of Erskine's hairs in Miss Emms' house and his shoeprints at three of the scenes. When survivor Frederick Prentice picked him out in an identity parade he was charged with seven murders and one attempted murder. Blaming a voice in his head, he told detectives: "I don't remember killing anyone, I could have done it without knowing it." During the months of the murders he had paid in £3,000 stolen from victims which he tried to launder with 10 bank accounts. Among four other deaths Erskine was linked with was the strangling of both Wilf Parkes, 81, and Trevor Thomas, 75, both in south London. The latter was found lying in his bath, the water destroying any forensic material. Both charges were dropped through lack of evidence. A senior detective said at the time: "There is simply no way of knowing how many defenceless old folk he killed." 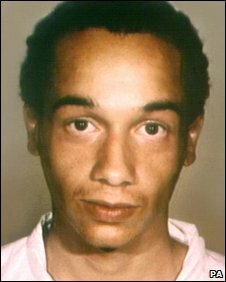 Erskine was found guilty of all seven murders and ordered to serve at least 40 years, at the time the longest minimum sentence ever imposed.